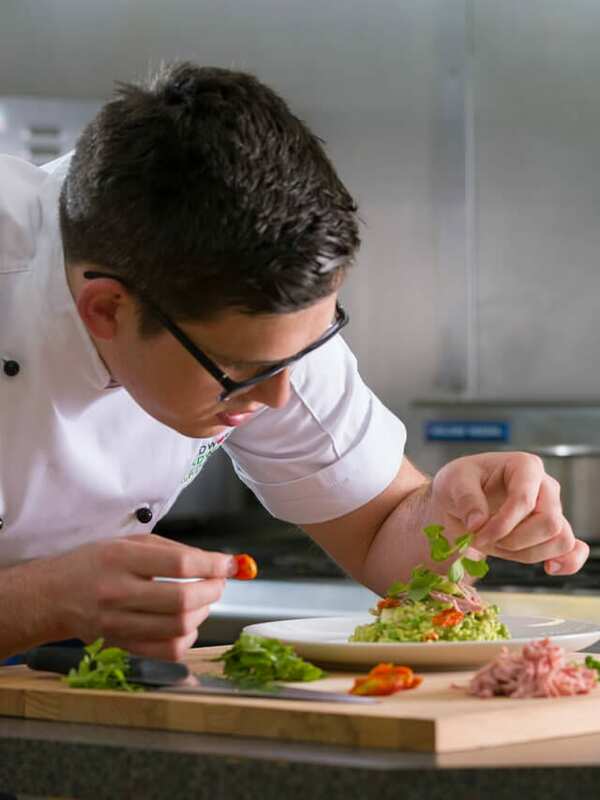 Every chef has an idol or someone to draw inspiration from; but Saladworks’ Chris likes nothing more than trawling vegetable and fish markets and artisan producers to fuel his inventive ideas: “I love natural looking food, natural shapes and natural colours” he says. All of which he showcases in his food star product Pea Orzoto. “It’s a take on risotto,” he says, “but with Orzoto pasta and a vibrant green pea sauce, sweet baby sun blushed tomatoes, pulled smoky ham hock, pecorino shavings and fresh pea shoots. Now heading up the development for a quality supermarket range, Chris honed his skills firstly in Marseille, then Canada, before working at the double Michelin starred Campton Place in San Francisco. He returned to Europe where his passion for the health giving Mediterranean diets and ingredients blossomed.